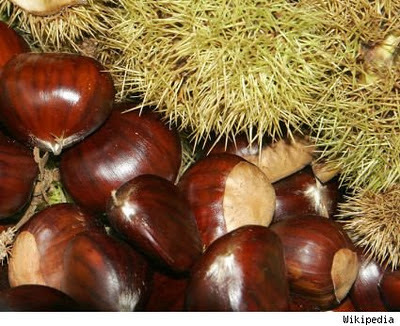 Annie's Gardening Corner: What’s Roasting on Your Open Fire? If you’re humming the classic Christmas songs while digging for a recipe to knock the socks off your holiday guests, then look no longer. 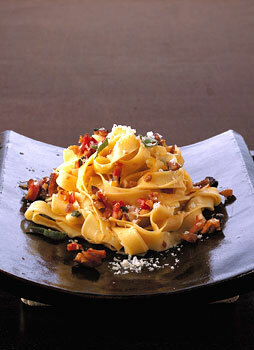 Try this easy recipe from Epicurious; perfect for any holiday dinner party. This dish brings pasta and roasted chestnuts to another level. And yes, it sneaks in one of those easy herbs to grow – sage. Don’t have it in your kitchen garden? Well, what are you waiting for? The wonderful thing about this recipe, besides ‘EASY’ and its sweet, savory nutty flavor is that it really is a cinch; perfect for a holiday party. Want to get everyone involved? Don’t buy your pasta - make your own. With a little extra elbow grease and aprons, you’ll get freshness oozing out of the kitchen and your guests feel involved but impressed. The apron could be a take away stocking stuffer for pasta maker participants to remember the evening. Have fun in the kitchen and enjoy your holidays, too!